Attend this training to work towards Forest Stewardship Council® (FSC) lead auditor qualification or to familiarize yourself more with the standards as a stakeholder, certificate holder, or prospective certificate holder. 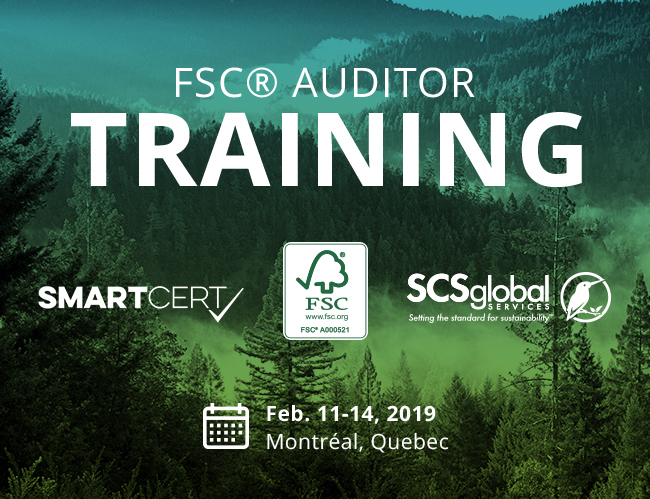 Hosted by SCS Global Services and Smartcert, the trainings will be conducted by established Canadian trainers with over a decade of experience conducting Forest Management (FM) and Chain of Custody (CoC) audits in Canada and around the world. Trainees desiring to become auditors must attend the ISO 19011 course, unless they have previously received formal ISO training.